These ribs are mouthwateringly good! If you're throwing a huge cookout, this is the recipe to use. It calls for 10 racks of ribs! You can always alter the recipe if you're making a smaller quantity. In a large saucepan, sauté garlic. Add remaining sauce ingredients and allow to come to a boil. Turn down heat and let simmer for 15 minutes, stirring often. While sauce is simmering, combine rub ingredients in a medium mixing bowl. Set aside. Rub ribs with spices and let then sit for 30 minutes at room temperature. Cook over an indirect medium heat for about an hour. Turn once and cook for additional 30 minutes. Watch carefully to avoid burning. 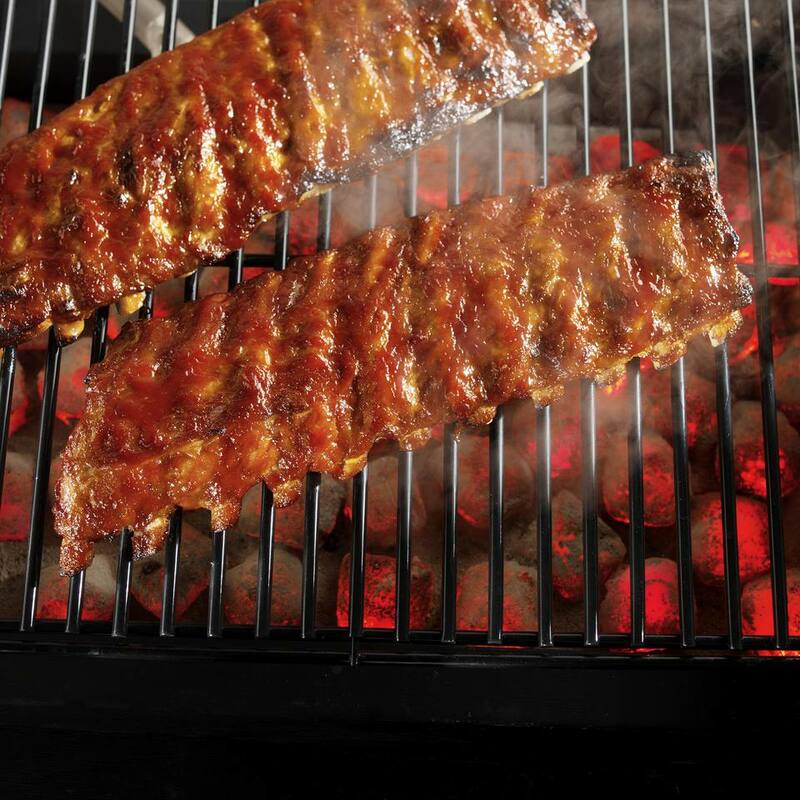 You might need to grill large quantity of ribs in shifts. When the ribs have finished cooking, a knife will pass easily into the meat between the ribs and you can see no or very little pink. Serve with your favorite barbecue sides and enjoy!